Packing Individual box packing or Bulk packing of 6pcs in 1box. We are a prominent name of the industry engaged in offering a wide range of hunting accessories to our customers. These bandolier belts for double barrel cartridges are made from vegetable tanned Terra Cotta leather in natural color. These belts come in different lengths to fit all waist sizes. Size: 2cms. Wide, 84cms. Length & Loop 30cms. We are manufacturer & exporter of Roman Legionary Leather Belt. Reenactment leather belt is decorate with brass accents. Being the reckoned names in the industry, offering an exceptional range of Leather Belt that is designed as per the preferences of our clients. We are supported by well-developed manufacturing unit that assists us to deliver an exceptional range of products. Our entire product range is delivered in varied sizes and dimensions. 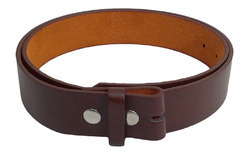 Being quality centric firm we are engaged in exporting and supplying high quality range of Mens Leather Belts. These pure leather belts are perfectly designed with attractive buckles. When it comes to formal and corporate wear for men, the house of True Grits from Shivam Arts is undoubtedly the first choice. Not only does the brand display an extensive range of formal belts but it also boasts of beautifully designed accessories for men. We are remarkable entity, engaged in offering superior quality Leather Belt. We are one of the leading manufacturers, suppliers & exporters of high quality assortment of Yellow Leather Belts. These Belts are designed as per the latest trends and fashion and are fabricated using advance technology and high grade raw material. We are mainly looking for the EXPORT INQUIRIES. 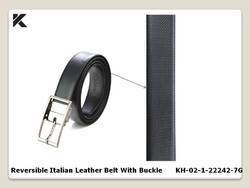 Leveraging the skills of our qualified team of professionals, we are instrumental in offering a wide range of Leather Belt. Length (millimetre): 40" to 50"